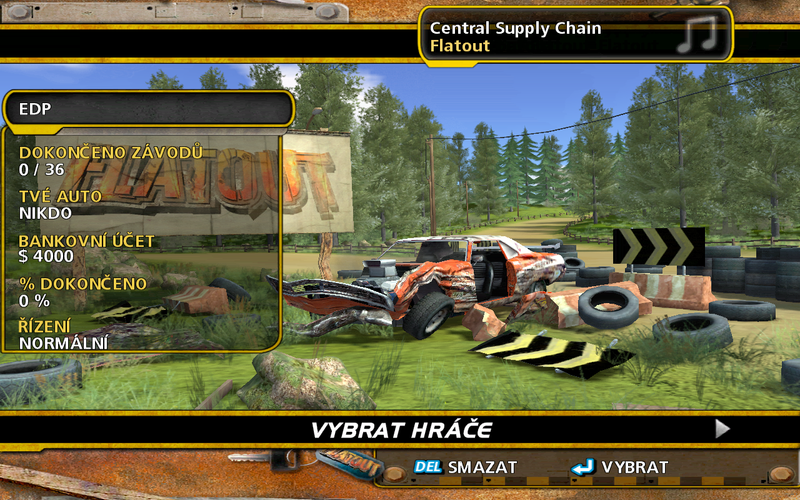 FlatOut (a.k.a. 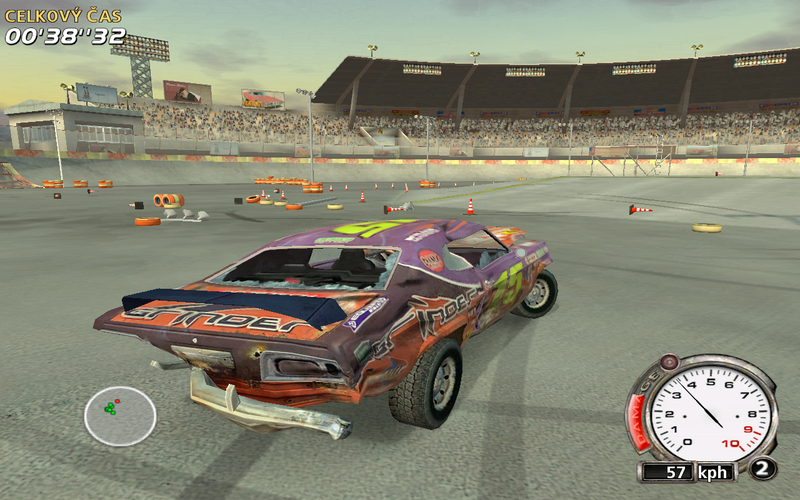 FO or FO1) is a racing video game developed by Finnish Bugbear Entertainment and published by Empire Interactive and Vivendi Universal Games in 2004 and 2005. 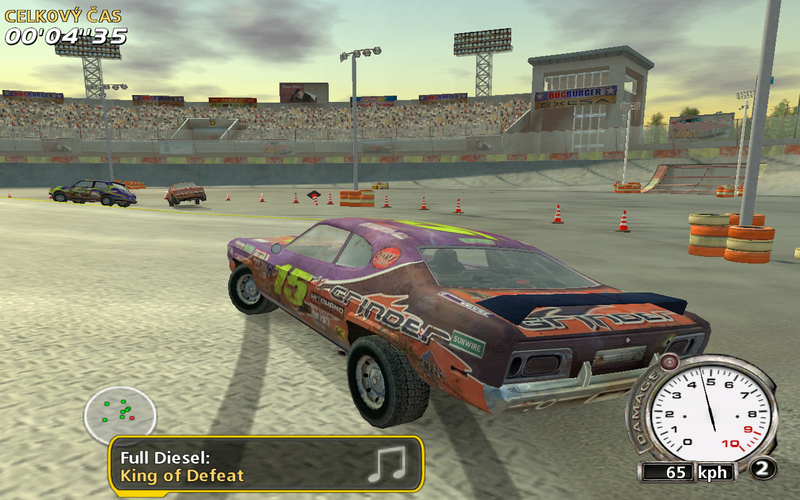 Gameplay in Flatout places emphasis on demolition derby-style races, and features a sophisticated physics engine. 16 different cars are included, each with 5 different skins for them. 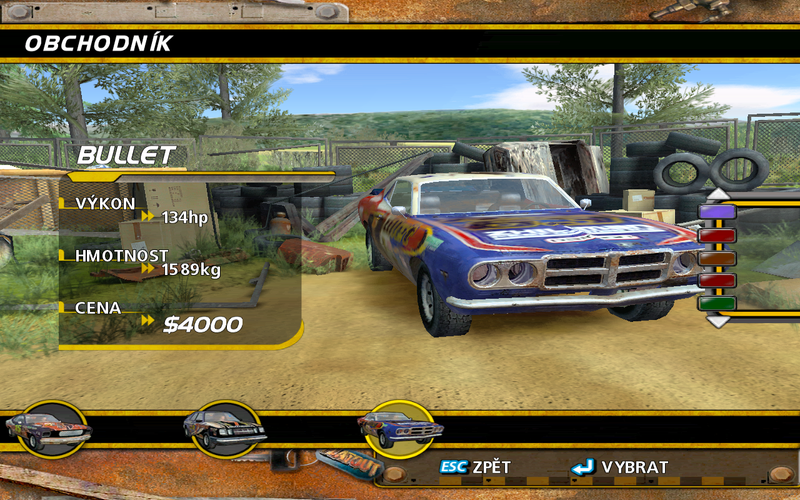 good game i just download FlatOut 2 mac version and it just like amazing run faster with maximum graphics fastest loading and my mac don't heat up like playing minecraft too much heating good port no issues ^__^! Thank you, Steam version runs well! Cant use this wrapper though im running OS 10.5.8 which i guess is beyond what my 06 iMac was meant to run. got the game to run in WS8Wine1.5.1, wrapper version 2.5.4 but theres a motion blur effect that doesnt render right and makes the game almost unplayable at times. Im pretty sure its an issue with transparency but not sure... Aside from that it run perfectly. This is probably the wrong place to post this. Anyone have any idea how to fix this?